Sleep Well provides families with professional, specialized care. 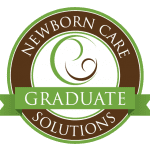 Recognizing the importance of a good night’s sleep and a helping hand, our team of newborn care specialists, registered nurses, certified nursing assistants, and nannies will support you with the hands-on assistance, education and structure needed for a bright beginning. Families with preemies, multiples or babies with reflux, colic or jaundice may require specialized care. Sleep Well can help with services during the day, night or around-the-clock with a focus on management of care, feedings and sleep for the whole family.